Located in the heart of Bresse, in the village of Vonnas, Plasteurop has gained its expertise over the course of decades and has always held true to its core values: quality, service, flexibility, customer service and richness of products. 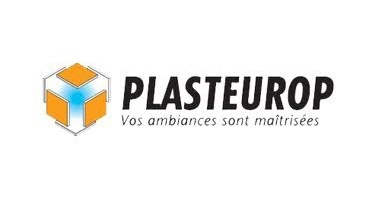 Plasteurop is now a key partner for industrial corporations and installation companies both in France and abroad, thanks to a professional, pro-active, attentive and responsive sales force. Agri-business, white rooms, micro-electronics, acoustics and fire prevention are just some of the areas in which we work on a daily basis. We work closely with a national and European network of installation companies, our key partners, to continually improve our products and adapt them to the requirements of our customers.